Andrew D. Hershey, M.D., Ph.D., Director, Headache Center, Cincinnati Children's Hospital Medical Center, Cincinnati, OH,USA. Scott W. Powers, Ph.D., ABPP, Professor of Pediatrics; Director, Center for Child Behavior and Nutrition Research; Director, Postdoctoral Training in Psychology; Co-Director, The Headache Center, Cincinnati Children's Hospital Medical Center, The University of Cincinnati College of Medicine Division of Behavioral Medicine and Clinical Psychology, Sabin Education Center, Cincinnati, OH, USA. Paul Winner, D.O., Palm Beach Headache Center, Premiere Research Institute, Palm Beach Neurology, Nova Southeastern University, West Palm Beach, FL, USA. Marielle A. Kabbouche, M.D, Assistant Professor of Pediatrics and Neurology, Department of?Neurology, Cincinnati Children's Hospital Medical Center, Cincinnati, OH, USA. Chapter 1: History of Childhood Headaches. Epidemiology, Classification and Pathophysiology of pediatric headaches. Chapter 2: Evaluation and Classification. Chapter 3: Diagnostic Testing and Concerning Variants. Chapter 4: Epidemiology of Pediatric Headaches. Chapter 5: Impact of Childhood Headaches. Chapter 6: Emergent evaluation and management. Chapter 8: Migraine: Diagnosis and Treatment. 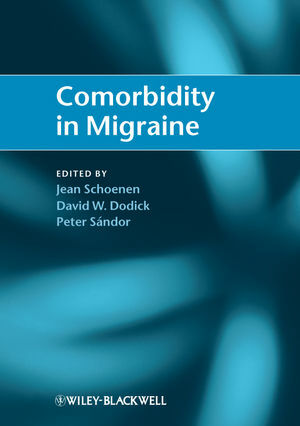 Chapter 9: Migraine Variants and the Periodic Syndromes. Chapter10: Tension-type headache: Diagnosis and Treatment. 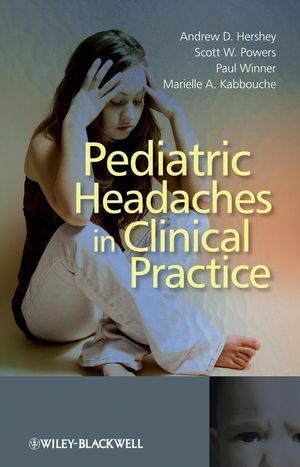 Chapter 11: Chronic Daily Headaches in Children. Chapter 12: Other Primary Headache Disorders. Chapter 13: Biobehavioral Management of Childhood Headaches. Chapter 14: Sinus Headache and Nasal Disease. Chapter 16: Headaches associated with altered intracranial pressure. Chapter 17: Other Secondary Headaches.